Improving the lives of people living with type 1 diabetes by introducing them to the wide range of resources and support that are available online. Living with type 1 diabetes isn't easy and it can be quite a lonely and isolating experience. T1resources.uk grew out of a conversation between people with diabetes and healthcare professionals who had been using online resources and communities as part of their type 1 toolkit for a number of years. People who had seen what a positive effect this information and support can have in improving self-management and generally making type 1 diabetes a little bit easier to live with. But the number of people with T1 diabetes interacting online and making use of the available information and support was tiny compared to the overall population. And we recognised that it can be hard to know where to start. T1resources.uk was designed as a set of signposts. Not comprehensive by any means, but a useful starting point for anyone wanting to begin to explore social media and online information to help them manage type 1 diabetes. We believe that for everyone, there is a unique, happy corner of the internet with a select number of resources, channels and communities from among the bewildering array available. We hope that T1resources.uk helps you find yours. People who are newly diagnosed, who are feeling a bit overwhelmed and lost and want some grounded, helpful information from people who have lived it. People who have been living with type 1 for a while and have heard all the horror stories who want to hear about people living successful, exciting, fulfilling, adventurous, healthy lives with diabetes for 20, 30, 40, 50 years and more! People who have been diagnosed for years who don't know what they don't know. One of the phrases that echoes and repeats is, "I've learned more about my diabetes in the last 6 months than in the previous 5/10/20 years". Approaches in self management, technology and techniques change and develop constantly and unless you know what to ask in clinic appointments your healthcare professionals may not know what to offer. Doctors and healthcare professionals who want searchable, trusted, reviewed information that they can pass on. T1resources.uk is not intended to be a comprehensive directory of all available content covering type 1 diabetes. It is a selection of trusted and reviewed resources which might act as a set of signposts or doorways to encourage individuals to discover their own support network. All resources will be considered including personal opinion pieces e.g. blogs that tackle certain issues such as pregnancy/development of complications/diabetes burnout. Because bloggers often add posts regularly on a wide range of topics, usually blogs will be recommended and reviewed based on one post. This will help us categorise the post but also ensure that we feel comfortable recommending the page, knowing that blog content can change rapidly and there is no way we can have time to review it all before recommending it. Other resources, including websites, will be reviewed in full (as much as feasible) as they tend not to change content. If unable to review the entire resource e.g. website, then the reviewer will make this clear in their review. Apps and industry content will be considered but they will all come with safety warnings, consideration of cost and what is currently available within the NHS. Social media will be sign-posted to with a brief description of the different groups and who they are aimed at. If you know of a resource that you think is suitable for this site, take a look at the Suggest a Resource page. I can honestly say that joining these online communities has transformed my life with diabetes. It’s given me so much more information, it’s really empowered me. 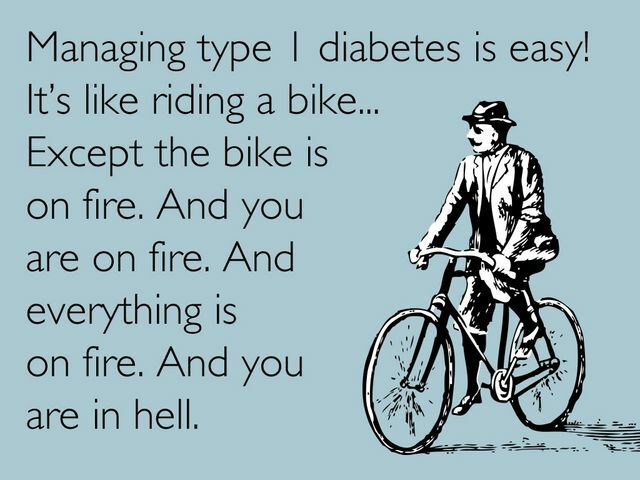 It’s allowed me to develop as a person, but also as a person with diabetes.